The New Year is in full flow and spring is just around the corner, but that is no reason to leave an untidy mess of clutter sitting in front of your new LPD Doors. Everyone, at one point or another, will have known the feeling of having to tidy up the clutter that has slowly gathered over the course of a few days or weeks (or months). It happens, but it is important to keep your home free of clutter, or at least try to keep it to a bare minimum. The most important rule to introduce into your home, if you haven’t already, is that everything has a place – left on the floor or sat on the stair cladding is certainly not where it belongs. Investing in storage units, such as shelving or boxes, can go a long way towards minimising mess that just seems to appear over time. A clutter-free floor reduces the risk of any unfortunate accidents (the last thing you want is for a guest to go flying) and makes a home feel more homely. Not only will you feel more comfortable inviting company round for a cup of coffee, but you will have extra reason to feel proud about your house and admire your home. 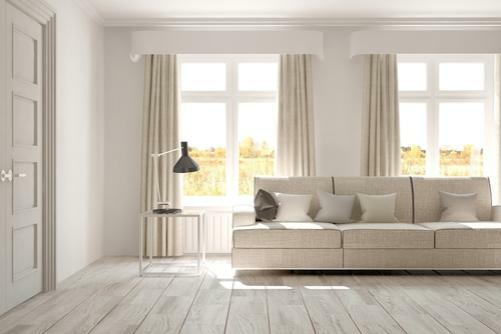 After any outstanding mess has been cleared, it is a good excuse to take stock of your home and consider whether it is time to redecorate your living area, giving it a new lease of life. You may feel that this is a good time to look into new stair cladding or reflections stair glass balustrade to modernise your home. An early spring clean can give both the inspiration and motivation to change the look and feel of your home - perfect if you are a host who loves to wow your guests. The last thing you want is to feel as though you barely have enough room to move in your own home. Keeping an open plan will help to make your home feel cleaner and more spacious, ensuring that your living quarters are a relaxing haven to come home to after a long day. If you feel that this year is the right time to clear out the clutter and modernise your home, then why not get in contact with the Blueprint Joinery team on 01691 671020? A member of our staff will be more than happy to talk your home improvement options through with you.